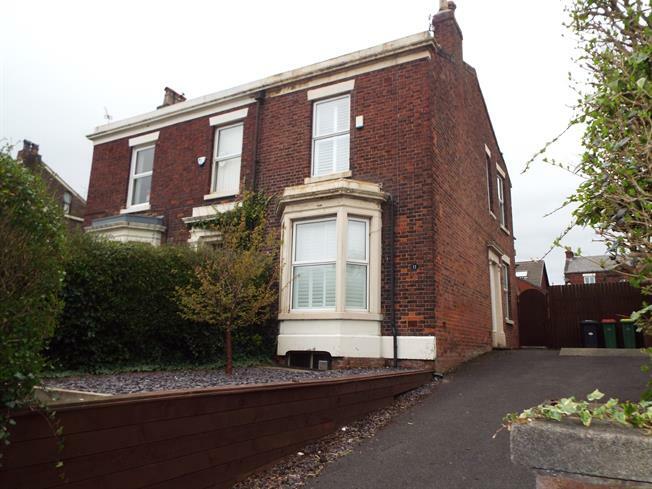 3 Bedroom Semi Detached House For Sale in Preston for Asking Price £259,995. Part Exchange Considered NO CHAIN This substantial 1930's semi detached three bedroom home has been mindfully designed to provide an exceptional family home of quality and provides charming original features flowing effortlessly from one room to the next. The accommodation briefly comprises of a welcoming entrance hallway with staircase leading to the first floor. The lounge provides a light and spacious atmosphere with an open fire and bay fronted window to the front elevation. There is an additional reception with feature cast iron fireplace and original floorboards. The beautiful modern fitted kitchen diner is perfect for family entertaining and has a gorgeous feature exposed brick wall. Adjoining the kitchen diner is a utility room and downstairs shower room. There is also a cellar in the basement. Upstairs, you will find three generously proportioned bedrooms, a bathroom suite with separate WC. Externally, the property is approached via a hard-standing driveway with a slate raised flower bed. Beyond this point, the rear garden has a bark child friendly play area leading onto a patio and lawn. View to appreciate. UPVC double glazed entrance door. Radiator, original floorboards. Staircase leading to the first floor with carpeted flooring. Picture rail and original coving. Double glazed uPVC bay window facing the front. Radiator, carpeted flooring, picture rail, original coving. Double glazed uPVC window facing the side. Radiator, original floorboards, picture rail, original coving. UPVC double glazed door. Double glazed uPVC window facing the rear. Radiator, tiled flooring, boiler. Wood work surface. Double glazed uPVC window facing the side. Radiator and open fire, carpeted flooring, built-in storage cupboard. Double glazed uPVC window facing the rear. Radiator, tiled flooring, tiled walls. Low level WC, freestanding bath, pedestal sink. Double glazed uPVC window facing the rear. Tiled flooring. Low level WC, pedestal sink.